Ms. MacGibbon was formerly a member of the MUHC Board of Directors and Chair of the MUHC Review Committee. She is currently the Chair of the Royal Victoria Hospital (RVH) Patients’ Committee and a patient representative on the MUHC Quality and Risk Committee (COQAR), the Technology Assessment Unit (TAU) Policy Committee, the TCAB (Transforming Care at the Bedside) Measure and Evaluation Committee, the MUHC Cancer Mission QPIO ( Quality and Performance Improvement Office) Committee, the MUHC PAINFREE* Project and the TCAB team on RVH Surgical 9W. 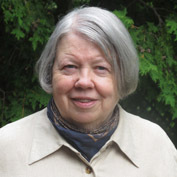 Ms. MacGibbon is a statistician and adjunct professor in the department of mathematics at the Université de Québec à Montréal (UQAM).